The UVSiTE project was launched with funding from the 2013 round of research projects of the Fundación Obra Social CajaCanarias foundation. UVSiTE aims to improve the energy efficiency of silicon-based photovoltaic cells and modules by integrating a new type of downconverter (or downshifter). 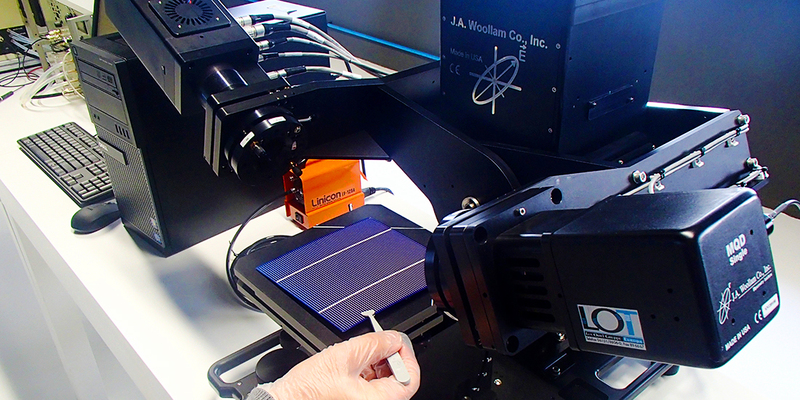 The technology enables the capture of high-energy photons, thereby increasing the quantum efficiency of solar cells at certain wavelengths. To produce a new type of downconverter for standard solar cells and silicon photovoltaic modules which can increase device efficiency by at least 0.3 percentage points, compared with not installing the downconverter. To design the procedure for integrating the downconverter in the process of producing standard silicon technology solar cells and PV modules. Ensuring the increased efficiency achieved with the downconverter, in terms of additional revenues from increased electricity production, compensates for the additional cost of the manufacturing process. Ensuring that the downconverter offers a similar degree of durability for a PV module as the standard durability available on the market, ie 25 years. In addition, these processes must take into account the production costs, product durability and creation of waste (both during manufacture and at the end of the product’s useful life) in relation to photovoltaic manufacturing: quantifying these factors, assessing their impact, reducing that impact, appraisals and product recycling, as well as water supply and reuse considerations within the manufacturing process. The project is led by the University of La Laguna, in partnership with ITER and the Fraunhofer Institut für Solare Energiesysteme. The project lasts three years, ending in December 2016.